Save 5% off with Alamo Rent A Car! Alamo offers everyday low rental rates and a hassle-free customer experience at the most popular travel destinations throughout the United States, Canada, Mexico. Alamo’s more than 171 self-serve kiosks at 63 U.S. locations also allow customers to expedite their check-in time. Call 800-RENT-A-CAR or any location directly and reference The Employee Network Account: XZ50359 and Pin Number: EMP to receive your discount. Life is nonstop. We’re here to keep you moving. 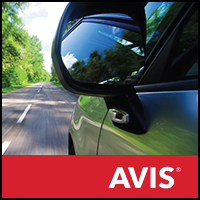 From the car to the accessories, choose what best fits you and your trip. So when you drive off, you’ll be ready for whatever the journey brings. Members always receive up to 25% off base rates when you use AWD# B823200, plus enjoy additional offers like dollars off, a complimentary upgrade, or a free weekend day. Must mention The Employee Network when calling or book online to make a reservation. When you rent a car, you shouldn’t need a handbook. Why not choose simple, smart and easy on the wallet? Then you can focus on getting there and having fun doing it. Members always save up to 25% off Budget base rates with offer code BCD# D790600, plus get other great offers like dollars off, a complimentary upgrade, or a free weekend day. 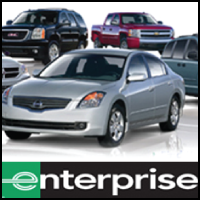 Save 5% off retail rates at all locations Nationwide with Enterprise Rent-A-Car!With the largest fleet in North America and a wide variety of vehicles, Enterprise has it all wrapped up. We’re always nearby at more than 7,000 neighborhood and airport locations. Pick Enterprise, we’ll pick you up! 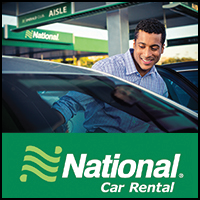 Save up to 25% off with National Car Rental! With National and the Emerald Club loyalty program, time-sensitive customers in the United States and Canada are able to quickly choose their own vehicles, based upon their advance reservation and requested car class, and then simply drive away from the airport. Call (800) RENT-A-CAR or any location directly and reference The Employee Network Account: XZ50359 and Pin Number: EMP to receive your discount.